Electing a Piast. Election sejm in Warsaw. 1669. The election sejm was called after the convocation sejm in 1668, as a result of king John II Casimir’s abdication. 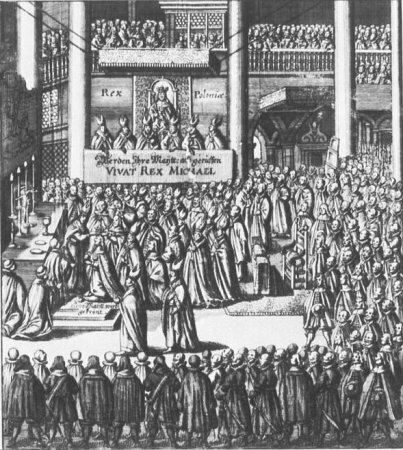 The debriefing sejmiks after the convocation were held from December 1668 to February 1669. The election sejm began on 2 May 1669. 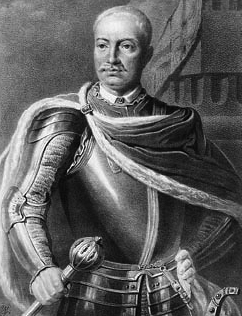 The elected marshal of the “knights circle” [another name for the Chamber of Deputies, used frequently during election sejms] was Kazimierz Szczęsny Potocki, the Crown Steward. During the sejm many “exorbitances” were taken care of, the religious matters were also debated. 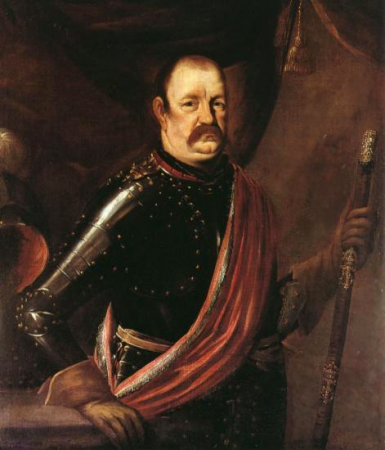 Hieronim Radziejowski and Jerzy Lubomirski were granted an amnesty. The other discussed issues were the succession of the Zamoyski Family Fee Tail, military matters, the vacancy in the office of Lithuanian baton, finances of the Commonwealth and the foreign policy. 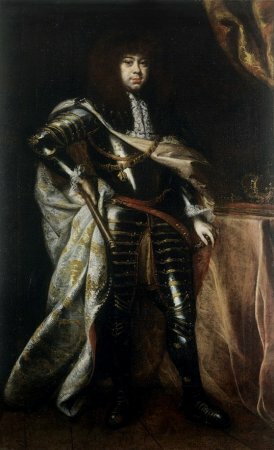 Michał Korybut Wiśniowiecki, the son of the prince Jeremi Wiśniowiecki, was elected king on 18 June 1669, as he was strongly supported by the nobility, who wanted to elect an “own” candidate. The sejm finished proceedings on 19 June 1669. See: J. A. Chrapowicki, Diariusz. Część Trzecia: lata 1669-1673 [The diary. Part three. 1669-1673 period. ], edited by L. A. Wierzbicki, Warszawa 2009; J. Dzięgielewski, Sejmy elekcyjne. Elektorzy. Elekcje 1573-1674 [Election sejms. Electors. 1573-1674 elections ], Pułtusk 2003; M. Chmielewska, Sejm elekcyjny Michała Korybuta Wiśniowieckiego 1669 roku [The election sejm of the Michał Korybut Wiśniowiecki in 1669], Warszawa 2006; H. Olszewski, Sejm Rzeczypospolitej epoki oligarchii (1652-1763). Prawo-praktyka-teoria-programy [Sejm of the Commonwealth in the oligarchy era (1652-1763). Law-practice-theory-programs], Poznań 1966;3, Poznań 1966). 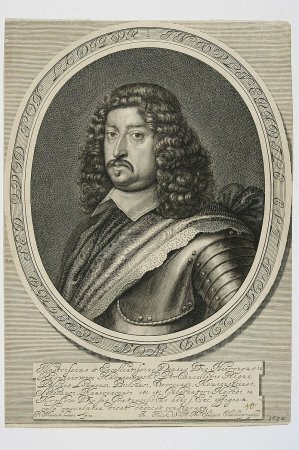 A. Przyboś, Michał Korybut Wiśniowiecki 1640-1673, Kraków 1984.